Edit: Thanks to TurinTur again for pointing to some art over on the artist’s website, Peter Konig, on this very subject from earlier this yea. Thanks to TurinTur over on Quarter to Three for this tip. Apparently concept art has leaked for a new space game from Valve, of all people, called Stars of Barathrum. 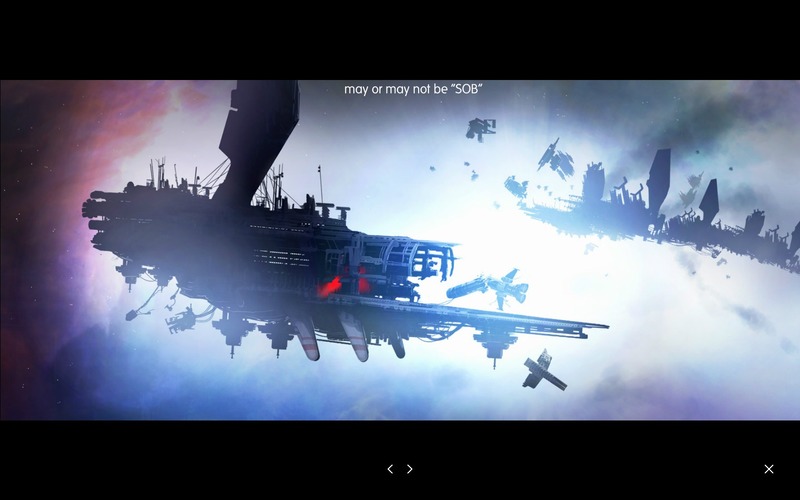 Apparently it’ll be a Freelancer-style game with the ability to also control capital ships! GamingBolt has the story, while this forum thread on Facepunch has the art. I’ll bring you more as I get it! Hey Brian thanks for the news. I really hope this turn out to be true!!! Space games might see some real revival in the next years! I hope so, if it’s indeed true and not a rumor. Logical message №1 (posititve): If any company out there can brag being insane to a point it would actually think of how to make great games without listening to some marketing mumbling about targeting auditory and best sells, it would be Valve. Logical message №2 (again, posititve): with Kickstarter being stuffed full with all kinds of indie space games it’s no brainer to understand, that people would love some new spacey adventures. Logical message №3 (posititve, more or less): Mass Effect trilogy, although not being space literally, was sci-fi and was a huge success. It sure is a huge blimp on a radar for other companies to go to space from endless fantasy worlds. Do the math, think bright. 1. Me and my coworkers once named Gabe Newell a “Comet-man”. Because he comes to us with new games once in, like, 10000 years. So it can be a long wait. 2. PleasedontmakeMMOPleasedontmakeMMOPleasedontmakeMMOPleasedontmakeMMO! I want a huge universe for me only! No dimwits and chatwars, just nice plain solo galaxy-saving. Or destroying, it’s even better. Ghr, “posititve”. Siegmund Freud would smirk on that one.